Chances are, that during pregnancy you will experience some conditions that you have never had before. One of these symptoms is gum bleeding. If you happen to experience it, relax its completely normal. A team of dentists near East Gosford explain that having bleeding gums, which is commonly referred to as pregnancy gingivitis (having sensitive gums), is common to most pregnant women. Pregnancy hormones make your gums prone to swelling and inflammation (this makes you more susceptible to the bacteria in plaque). 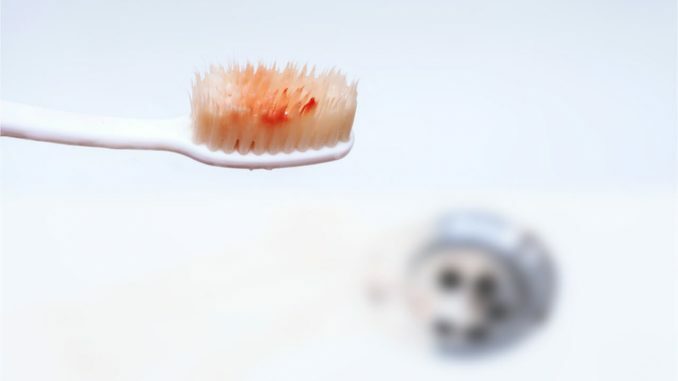 Hence you find that your gums are bleeding easily when you brush or clean between your teeth. Read on as we explore further the common symptoms of gums disease during pregnancy, the factors that contribute to the diseases and how to reduce the bleeding. Brushing and flossing– there is a reason why dentists encourage us to do thorough brushing and flossing on a daily basis. This activity helps get rid of bacteria and reduce or reverse the inflammation of gingivitis. Get more of vitamin C-this vitamin helps the teeth battle the bacteria, hence you should consider eating more fruits. Use sea salt– it is useful to do daily gargling with sea salt. It will help you reduce the gum inflammation as you work your way to treatment. Stop smoking– smoking only adds more harm to the state of your gums. Smoking is also unhealthy for your unborn child. Reduce sugary foods and drinks– The sugar adds more of the bacterial infection in teeth. Avoiding eating too much of the sugary foods and drinks will reduce the attacks. Proper oral care during pregnancy is the best way to fight gingivitis. However, if the home remedies don’t work for you, consider visiting your dentist for deep cleaning and removal of plaque from your teeth.